 Pool. ♨ Hot Tub.  Fitness Center.  Washer and Dryer.  Furnished. 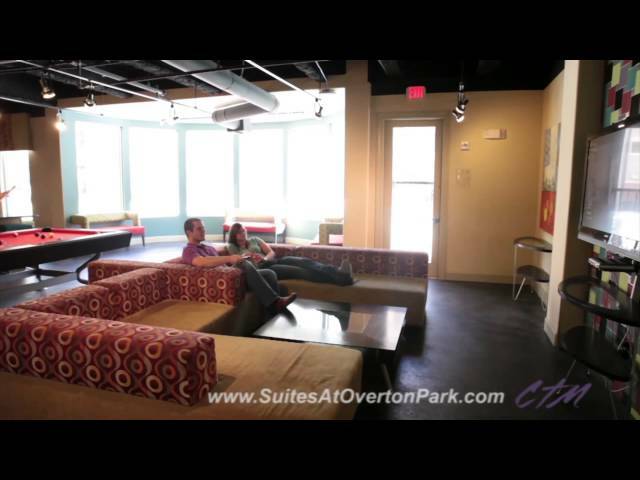 The Suites at Overton Park is located right across the street from Texas Tech, in Lubbock's re-developed Overton Park neighborhood. You can pick from two different three bedroom, two bath Floor Plans, one with a large bathroom than the other.